Does this Black Power Movement assignment look familiar? Many professor’s assign topics just like this and our writers custom write each one. The civil rights movement and the black power movement are typically portrayed as two distinct and even opposing social movements. With the civil rights movement we think of Martin Luther King Jr., leading rural, religious people, often older women or children, who pray a lot while passively resisting lunging police dogs and brutal Klansmen and police. The plight of African Americans in the United States before the Civil Rights and Black Nationalist Movements was characterized by gross abuses, unfair treatment, and subhuman status in many parts of the country. In May of 1954, the United States Supreme Court handed down a decision outlawing segregation in public education. Thus the civil rights movement began in America. One of the first groups to emerge in the Civil Rights Movement was the Southern Christian Leadership Conference (SCLC). The SCLC was the principal activist organization of black churches and ministers which fought the desegregation battles of the 1950s and 1960s. In many respects, the SCLC southern strategy depended on the very much unintended cooperation of its opponents. For example, in 1963, Birmingham, AL, police commissioner responded to an SCLC desegregation march by attacking marchers with dogs and high-pressure water hoses--all of which appeared on national television. Black power, on the other hand, invokes images of young men with "attitude" in black leather jackets, armed with rifles and machine guns in urban ghettos. black power is often linked with so-called "race riots". 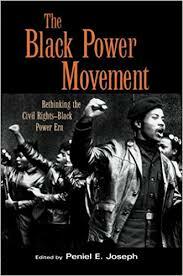 yet black power originated in the south and many of its leading proponents started off in the civil rights movement. Why did some black civil rights movements activists become "revolutionaries"? What were some of the local, national, and international influences that came into play? Is the widespread stereotype of non-violence vs. violence an adequate explanation of the contrast between the two? How does James Forman answer these questions? support or oppose forman's view in your essay. you may also find the articles by Jean Smith and Stokely Carmichael useful. include any of the other assigned reading on civil rights or black power that you find relevant. Please have a clear thesis statement and when quoting MLA, can you put the page numbers from the book in. The total number of pages for this project is 7 pages and 1 source the book stated above. Oppression is the cruel or unjust application of power over another person or group. Order a research paper on oppression from Paper Masters. Paper Masters writes custom research papers on Black Power Movement and discuss a sample of an order placed on civil rights movement, that requires a certain text to do the project.